Welcome to the wonders of Cameroon! A Central-African nation lying on the Gulf of Guinea. Bordering Nigeria, Central African Republic, Gabon, Chad, Equatorial Guinea and the Atlantic Ocean, it is a land of nature lovers. White sandy beaches, active volcanoes, rainforests and its rich linguistic reputation; needless to say one isn’t going to discover thousands of cultures along with the warm atmosphere of locals. Cameroon has a population of 24 million locals where the natural increase is set to be positive for the years to come. WHAT SHOULD EXPATS KNOW ABOUT CAMEROON? Expats planning to take up temporary residence to work in Cameroon must apply to the immigration authorities, through their sponsoring firm in Cameroon for residence and work permit is issued, along with the officials of your company who are responsible for making this application. When living in Cameroon, be sure to carry your residence permit or receipt of application which last for 90 days until your permit is issued, along with your passport and other proofs of identity. Cameroon has 7 national parks and Waza National Park is its most famous one with numerous elephants, lion, giraffe, antelope and birdlife and has some of the richest flora and fauna found in Africa. Yaoundé is the official capital of Cameroon, the second largest city of the country after the port city, Douala. Situated in the centre of the country, it is a green town, it has well-maintained streets and modern infrastructures. Yaoundé is also a hub city for communication, agriculture, education and administration purposes. 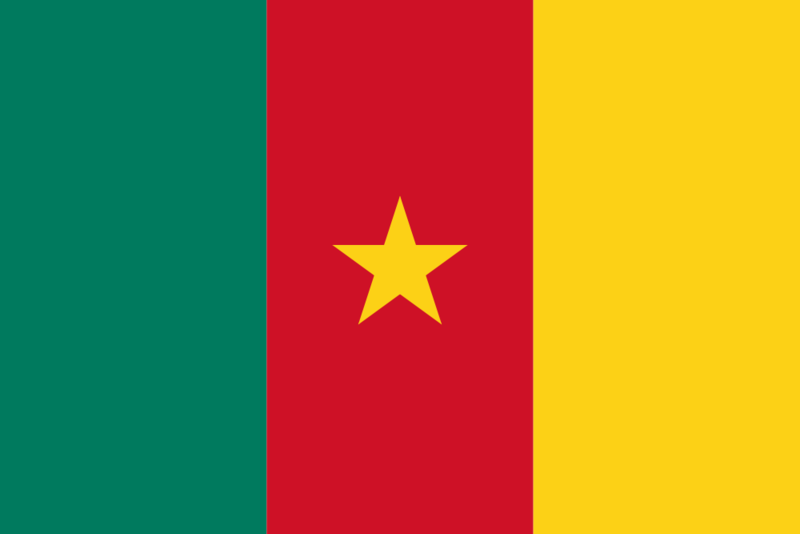 Cameroon is the richest linguistic country where more than 230 are spoken however French and English are both the official languages of the country. Both are taught at schools; the country strives towards being bilinguals even though few Cameroonians speak both. The climate varies accordingly. Yaoundé and Douala which are the principal cities of Cameroon are both situated in the southern part of the country. They both have 3 differentiable seasons: a long dry season from November to February, a light rainy season from March to June, and heavy rainfall, humidity hovers around 80 percent most of the year. Yaoundé due East of Douala on the central plateau region is slightly cooler and less muggy. The northern part of Cameroon is drier and generally more pleasant. For many years, Cameroon was one of the wealthiest African countries particularly within exports of agricultural products: Coffee, cocoa and cotton. Today endowing a decline in the economy, Cameroon has a lower middle age income. However, the natural resources in the country are rich relying mainly in the oil and gas industry, agricultural products and timber manufacturing. The oil revenue accounts for 20% of their revenues and about 45% on the export income.